Advocating relaxation of gold import norms to check smuggling, Commerce and Industry Minister Anand Sharma said the government will take action at an appropriate time. "There is a mechanism to periodically review it (gold import norms). We will take an appropriate view as and when required," Sharma told PTI. To check rising current account deficit, the government has raised import duties and the Reserve Bank of India had imposed curbs on import of the yellow metal and also laid down various pre-conditions for inward shipments of the precious metal. favoured a balance, so that we do not run the risk of illicit trade i.e. 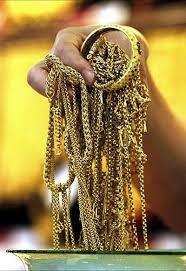 smuggling of gold," Sharma said. The government, he said, needs to ensure that the genuine demands are met and at the same time import is curbed to save foreign exchange. Gems and jewellery exporters, which accounts for about 15 per cent of the country's total shipments, raised concerns over the restrictions on the imports of the yellow metal and demanded easing of the norms. Commerce Secretary S R Rao has also asked Economic Affairs Secretary Arvind Mayaram to consider easing the curbs to push exports. In the April-October period, gems and jewellery exports stood at $24 billion. On Monday, in an interview to a television channel, Reserve Bank of India Governor Raghuram Rajan too said that gold smuggling into India will rise if the import curbs continue for too long.